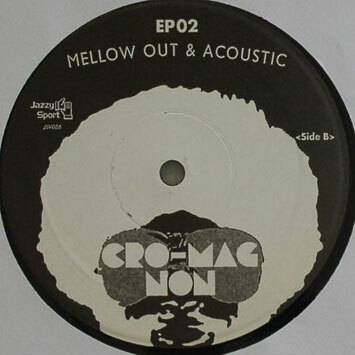 3-piece dance/jam band from Jazzy Sport, Cro-Magnon, with their first session EPs called 'Mellow Out & Acoustic' , with versions from tracks by the likes of Moodymann, Jackson 5, Roy Ayers, Blackbyrds etc. In 1996, Shigekazu Otake(Drums), Tsuyoshi Kosuga(Guitar&Bass), and Takumi Kaneko (keys) met in Boston. 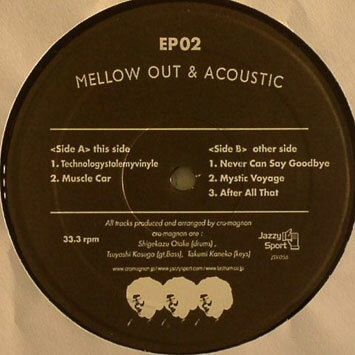 After returning to Japan in 1999, they formed a hip hop band, Loop Junktion & released one EP and two albums. 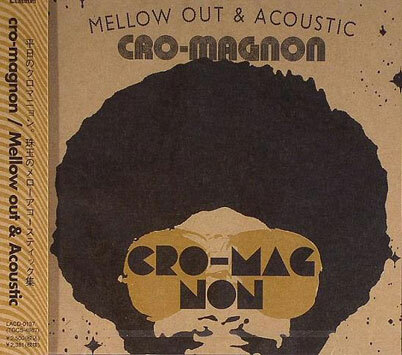 In 2004, they stop performing under the name of Loop Junktion and formed Cro-Magnon. They are also members of the critically acclaimed production team Jazzy Sport Productions. They have been touring all over Japan, establishing a solid reputation for their unique performance. 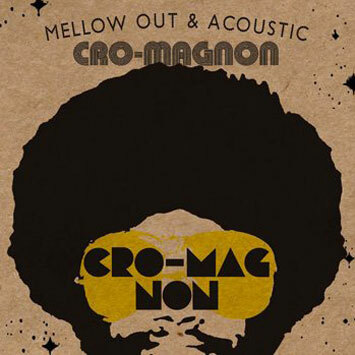 As the Cro-Magnon sound gets progressively more heavily textured and atmospheric on their successive and still stellar LPs, the trio scales it back a bit for the Mellow Out & Acoustic -- a groovy batch of jazz funk covers and originals! 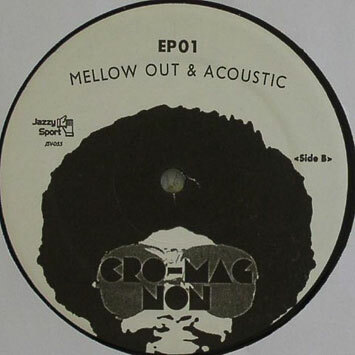 The vibe is actually often electric, cut from cloth of the cosmos, with tight rhythms -- the mellowness is more in the easygoing mood. 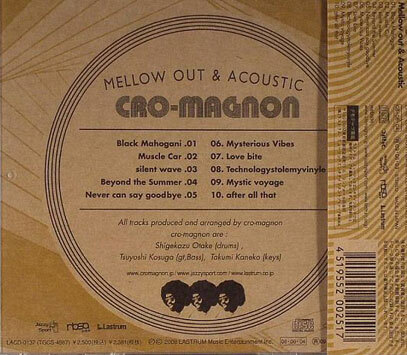 And speaking of mood, the Cro-Magnon crew covers two tracks by Moodymann -- "Black Mahogani" and "Technologystolemyvinyle" -- plus a keyboard lounge take on the Jackson 5's "Never Can Say Goodbye", a similarly easy grooving take on the Roy Ayers classic "Mystic Voyage", the originals "Silent Wave", "Beyond The Summer" and "After All That" -- plus "Mysterious Vibes" and "Love Bite". 10 tracks in all. 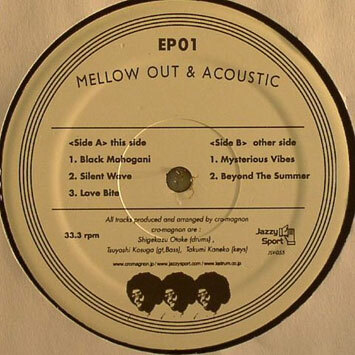 Source : dustygroove.com where the CD is available - go get it!